New York (ANA-MPA – P. Panagiotou) The Greek police force and other law enforcement agencies are in the midst of a radical overhaul designed to give them a new, more flexible organisational structure that is better able to meet contemporary challenges, Greek Public Order and Citizen Protection Minister Nikos Dendias announced here on Thursday, after delivering a speech at the John Jay College of Criminal Justice in New York. 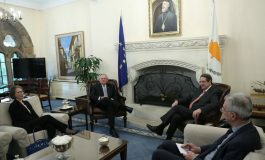 Commenting on the results of his visit to the United States, the Greek minister said that he had been given “a very deep briefing” on issues relating to law enforcement and public order. He noted that his talks at John Jay College of Criminal Justice and at City University of New York (CUNY) were an opportunity to analyse the issue of human rights and implementing the law, as well as the huge challenge faced by Greek society. “I had an opportunity to answer some difficult questions having to do with the current Greek reality, and I hope to dispel a fiction that had grown around the way migration problems are handled in Greece,” he added. Dendias stressed that Greece had made great strides in this area and that its efforts had been acknowledged by individuals, organisations and officials having good will. Asked about his visits to FBI and New York Police Department joint (NYPD) operations centres on Thursday, the Greek minister said it had been an opportunity for a detailed briefing on the way law enforcement and terrorism issues are handled in the United States. “Much of what I saw was impressive and also alot was very useful for the challenges we face in Greece,” he said. The minister also underlined that Greek expatriates wanting to visit Greece should not be deterred by reports of rising violence or crime, emphasising that Athens and Greece were absolutely safe destinations for visitors. “All crime indicators are lower. Especially in the centre of Athens, crime levels have been greatly reduced from last summer to this year. There is very strong police surveillance in the centre of Athens and I am obliged to say that few European city centres are as safe as Athens is today,” he emphasised. On the issue of illegal migration, Dendias said that cooperation with Turkish authorities on tackling the phenomenon was improved but still not satisfactory. He noted that Turkey was faced with a huge problem, as a result of the free access regime for anyone wishing to visit that country. “This means that nationals from various countries, from Africa and central Asia, arrive at Istanbul airport and from there go on foot to the borders of Greece and Europe. I believe that Turkey must show great care on this issue. We need even greater cooperation with Turkey,” the minister stressed. At the same time, he admitted that Turkey’s stance on the issue of re-admission had improved and it now accepted the return of individuals without a right to asylum that were caught on the Greek-Turkish border. Questioned about the rise of extremist political groups in Greece, especially in correlation with the police force, Dendias said there was zero tolerance for such phenomena and stressed that the Greek Police upheld the laws and the Constitution. “I cannot control what every Greek police man or woman votes. But what I can control is the way they behave in the line of duty. I can say, therefore, that within the Greek Police, in the framework of carrying out its duty, the overwhelming majority of the men and women of the Greek Police behave in a manner that is a tribute to the force and the country,” he said. Dendias was speaking on the topic “Citizen security and the Rule of Law” and emphasised the great progress made in Greece in public safety, as well as the need for international cooperation against serious challenges. He was preceded by Center for International Human Rights (CIHR) Director George Andreopoulos and introduced by the Greek General Consul in New York George Iliopoulos. Public Order Minister Nikolaos Dendias met on Friday with Archbishop of America Demetrius at the offices of the Archdiocese in Manhattan and discussed issues concerning the expatriate community. “In the framework of my presence in New York not only was my obligation self-evident, but also my great pleasure, for me and my associates to come to receive the blessing of Archbishop Demetrius,” Dendias said after the meeting. He added that “also, it is extremely important, a minister to listen to the views of the Archbishop on the Greek expatriates and on its position in today’s America. 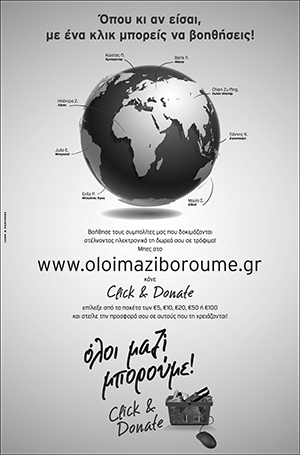 I would like to thank the Archbishop warmly because he shared his thoughts with us and to assure him that the Greek government is always close to the Church and the expatriates”. On his part, Archbishop Demetrius said “Mr. Dendias, wherever he served in important high posts, carried out very considerable work”. Referring to the content of their discussion, he said that “we had the opportunity of an exchange of views, on both the expatriates, and in general on the position and the mission of Greece in the modern world. These meetings always constitute a very fertile dialogue that keep alive and open the paths of communication between metropolitan Greece and the expatriates”.